If lifting to high levels, a fork positioning camera is perfect to enable the operator to accurately pick up loads. This can greatly increase productivity, while also reduce fork wear and any minor pallet damage. 2: High definition camera(600 tv lines) with IP69K waterproof level. 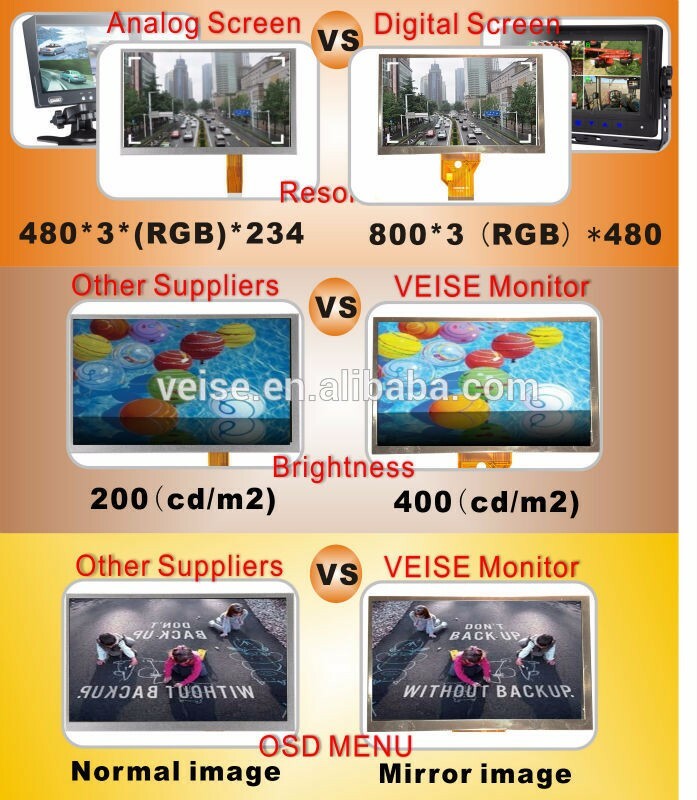 3: High definition monitor with Techwell Solution, Auto-Industry Standard. 1:Battery: Built in Panasonic original ,No heat while charging. 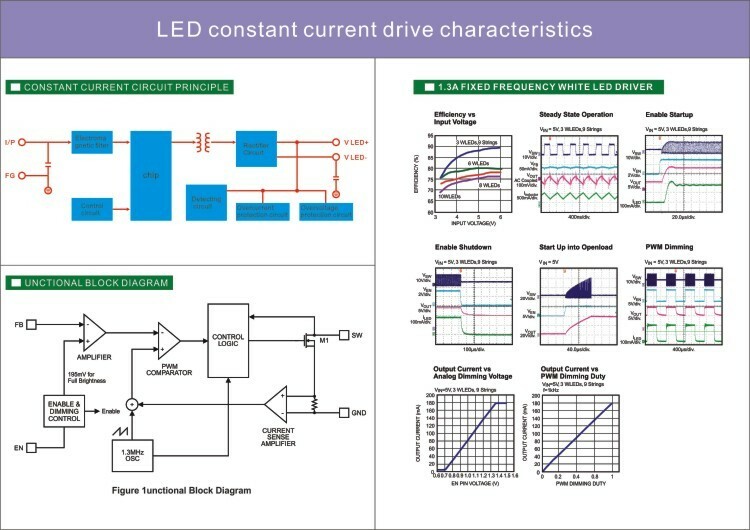 2: Protection circuit: Over current, high temperature, Over discharge. 3: Fast charging :Charge for two hours can be used 8-10 hours. 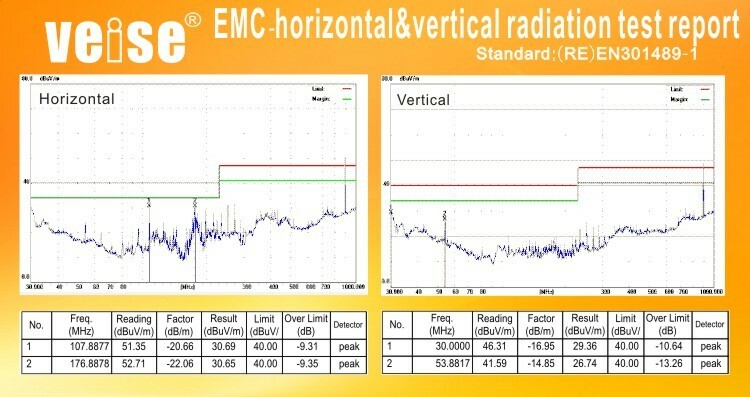 4: Prolonged and repeated testing to ensure product stability. 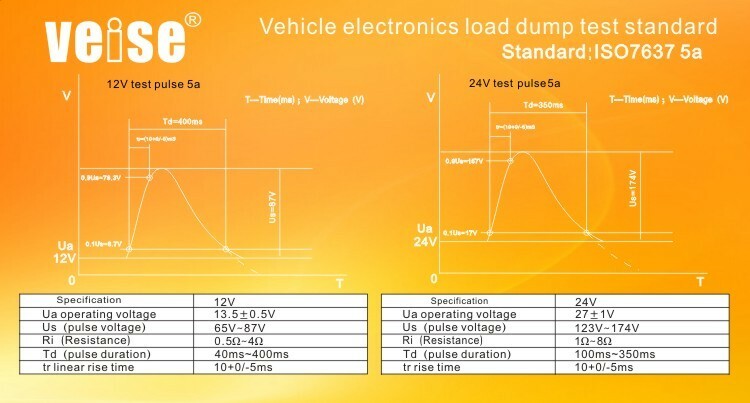 The power supply for vehicle is not stable after a few years, when the pulse voltage reached DC68-127V suddenly,the CPU will be burned easily without Load dump and ESD protect. 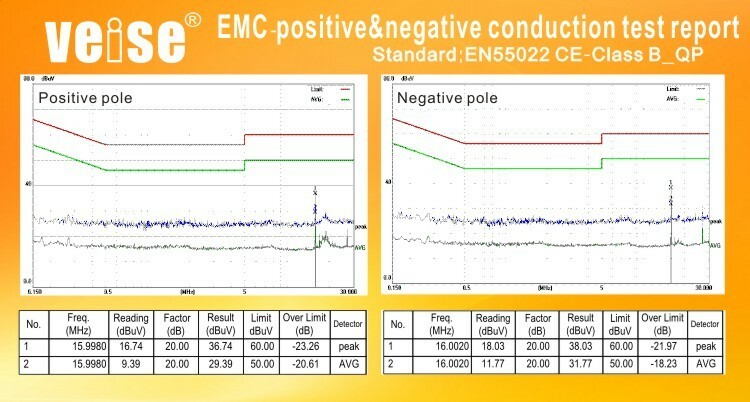 1 new vehicle mechanical equipment supply voltage is stable, and the old vehicle equipment to use certain time power supply voltage is unstable. 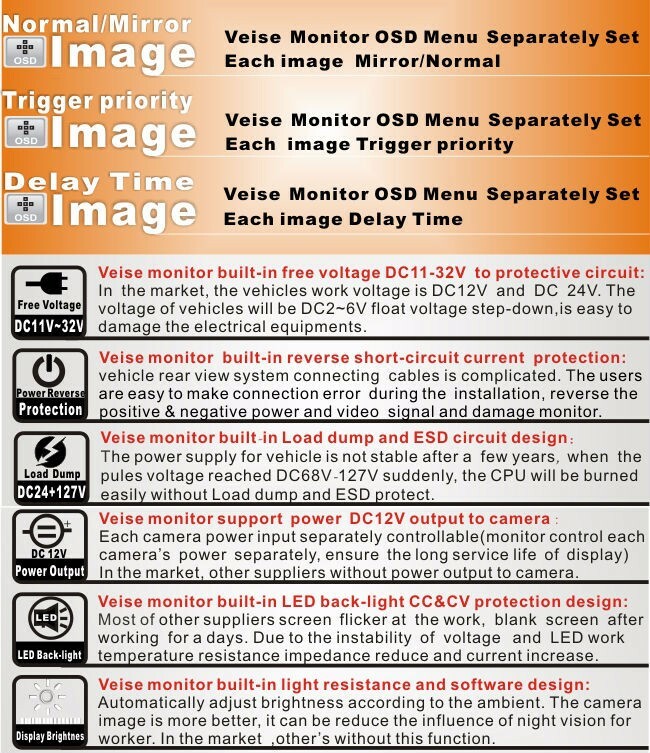 2 ordinary monitor LED backlight is direct driving DC12V, when old vehicle equipment power supply voltage is lower than the DC12V, LED backlight will darken with low voltage, and the higher than DC12V picture lights, cause the picture dark when displaying a flashing light. 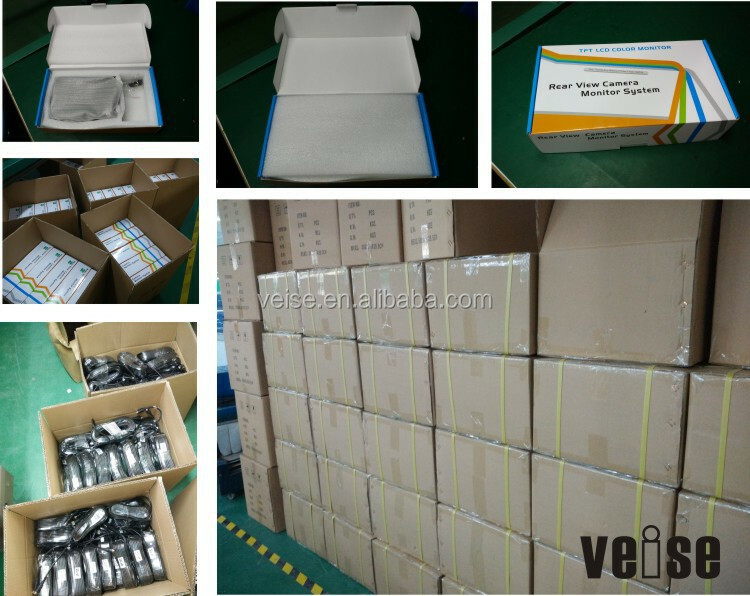 3 veise monitor LED backlight driving mode of power supply company all adopt the pump power, the work can achieve the supply voltage range of DC5-32 v and the brightness will not change, so no matter the old and new vehicles mechanical equipment the screen will not change. 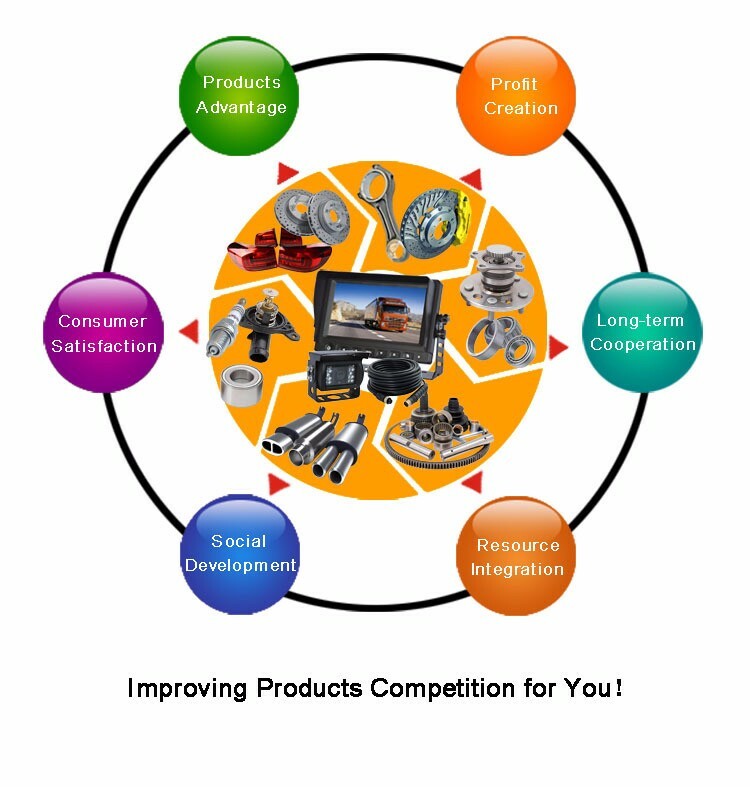 3, Deliver the goods to our customer all over the world with speed and precision. 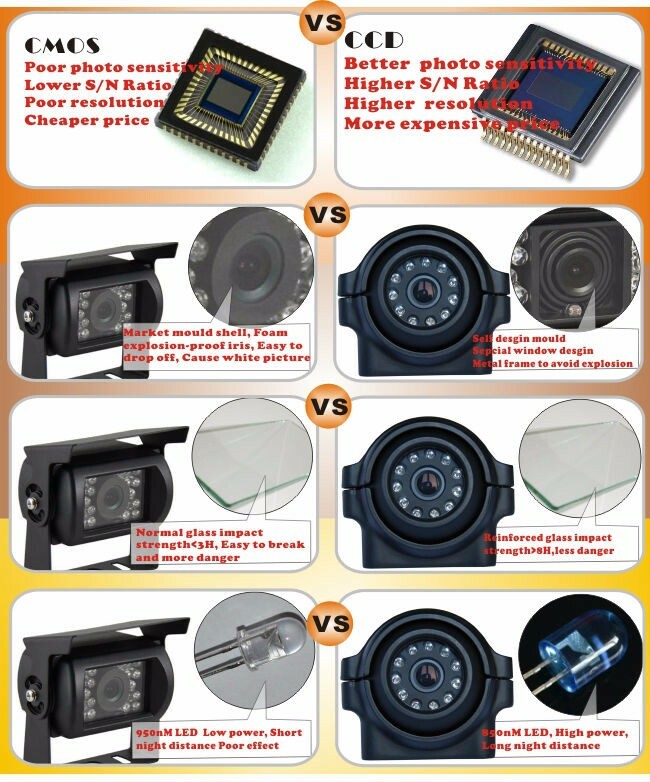 4, Offer customer the lowest price with high quality Camera and Monitor. 5, Well-trained and experienced staff to answer all of your inquires in fluent English. 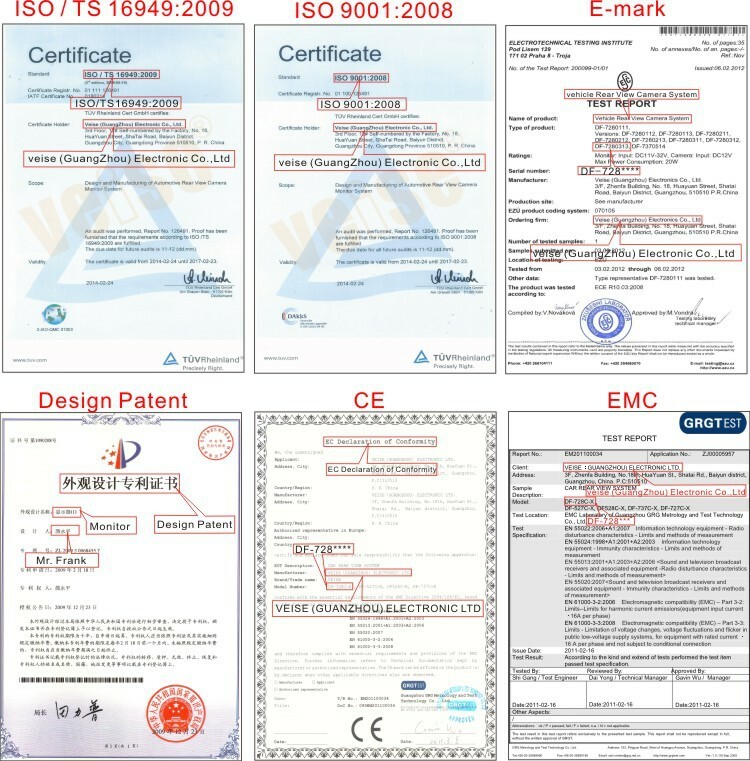 6, Protection of your sales area, ideas of design and all your private information. 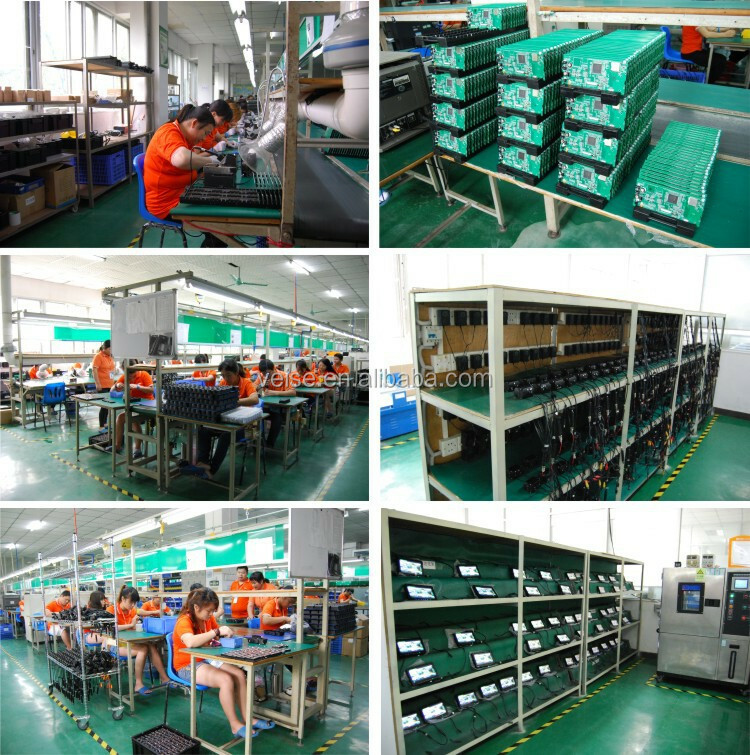 Answer: We are factory in Guangzhou,specialize in wireless backup camera system with more than 10 years experience. 2.What's the warranty of your products? Answer:Monitor:2 years; SUV Backup Camera:1 year. Answer: T/T,Western Union and L/C are available. 4.How can I place the order? 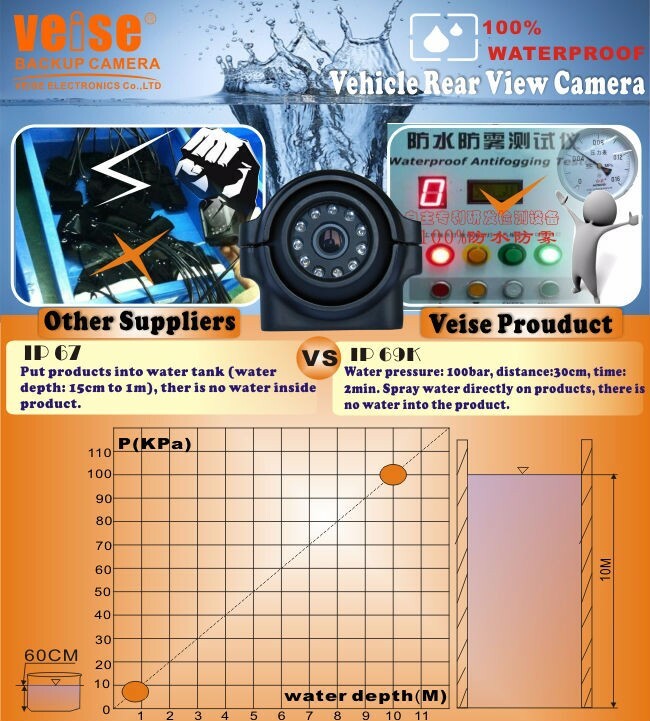 Answer:Please send us an inquiry,confirm your preferable backup camera,our sales shall send you a proforma invoice.After receiving your payment,we will arrange to get goods ready and ship out.